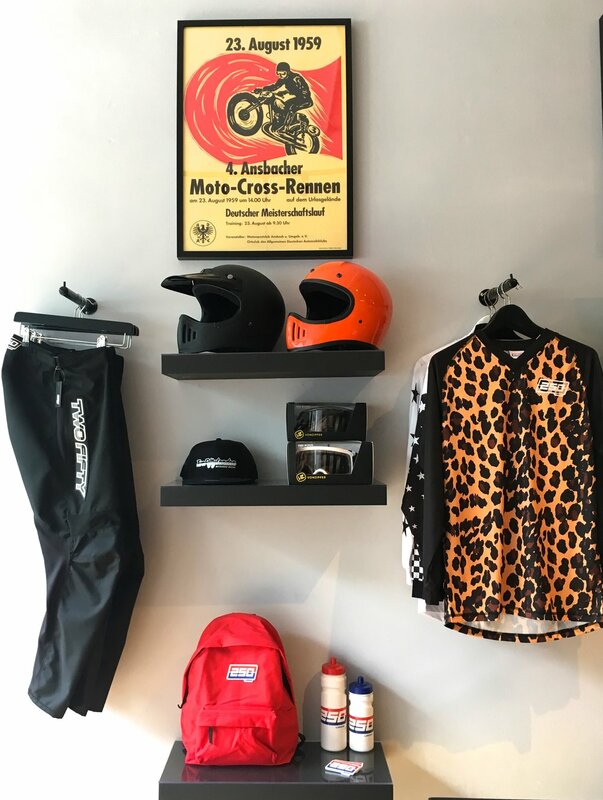 LONDON'S 1st "DIRT BIKE BOUTIQUE"
With London's first "Dirt Bike Boutique", we're showcasing the full range of 250LONDON off-road clothing, along with carefully curated accessories by brands which complement ours. 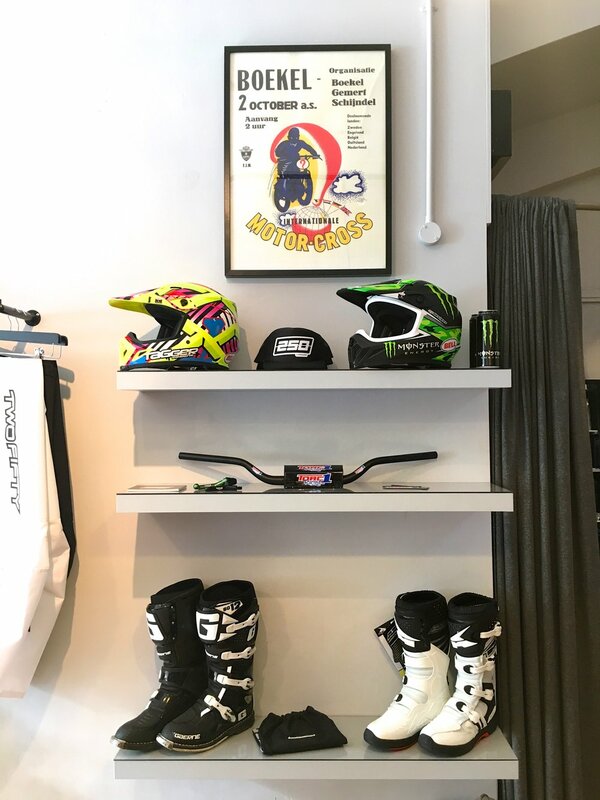 As an "Off-road Outfitters", whether you ride Motocross, Enduro, Flattrack, MTB or Downhill, we can kit you out from head to toe, accessorise your 250LONDON kit from a choice of brands including BELL Helmets or Melon Optics Goggles, for example. Not your run of the mill MX store, our space has the feel of an independent fashion boutique. 250LONDON is a fashion led brand after all, given Adam's credentials as a Menswear Designer, so the store is true to the brand's ethos of being all about "Dirt Bike Style". We're in Chiswick, West London, only 1 minute walk from Turnham Green Tube Station on the District Line, plus we have free customer parking right outside the store for those riding or driving across town or from out of town. Easy! Just keep an eye on our socials because we often close the store to attend events or just to go riding!